Skip Hinshaw joins InVue Executive Team. InVue is pleased to announce and welcome our newest team member, Skip Hinshaw, who will join as our VP of Commercial Solutions and also as a member of InVue’s Executive Leadership Team effective November 1, 2017. 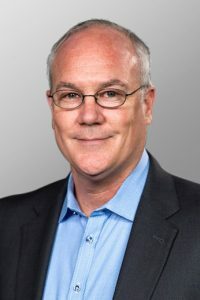 Skip will serve as the lead of our growing Commercial Solutions business focusing on fixed and mobile solutions for business applications, including POS. In his new role, Skip will serve as the VP and lead of the Commercial Solutions business. He will be charged with growing key global accounts and creating new business opportunities. Hinshaw was previously at Verifone in Atlanta, GA where he most recently ran the North America Financial Services business, focused on payment processors, acquirers, distributors, and ISO’s in the US and Canada. Prior to that, Skip lead Global Relationship Management, working with Verifone’s largest and most strategic clients. Skip, originally from North Carolina, will be relocating with his family to Charlotte.